A COPTIC SURPRISE: Passages from the Bible discovered behind Qur'an manuscript. The only recorded palimpsest in which a Christian text has been effaced to make way for the Islamic holy text is to go on sale at Christie’s (Alison Flood, The Guardian). An eighth century fragment of the Qur'an is pretty early, although we've seen earlier. For new readers, a "palimpsest" is a manuscript whose text has been erased and then overwritten with a new text. Twenty-first century technologies are making it increasingly possible to recover the erased underlying text. If any PaleoJudaica readers happen to be wealthy philanthropists, I draw your attention to the fact that the fragment is for sale. Its early date makes it important for Qur'anic studies. The underlying Coptic biblical text must have been produced by Christians. So the fragment could also tell specialists some interesting things about Christian-Islamic relations early in the Islamic era. That's a lot of return for your money. As usual, I hope that whoever buys the fragment donates it to a museum. Or at least that the buyer makes it available to scholars for study. Publications on it would only increase its profile and value. 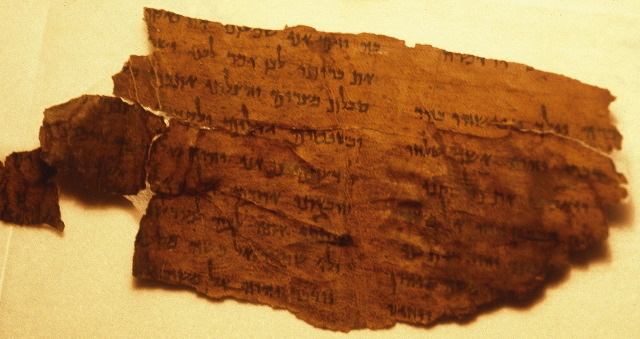 For past PaleoJudaica posts on early (7th century) Qur'an fragments, start here and follow the links. Cross-file under Coptic Watch. For past posts on other palimpsest manuscripts, start here and follow the links.